The Rama's just keep on coming. Last week, this Futurama podcast tackled Simpsorama, and this week they head onto 'Benderama'. There's just SO many Ramas for the Baby Beard Crew! Together, Sean and Ellen share their love for Patton Oswalt, discuss the taste of scrotum with alcohol, and mishear "squid guts" as "squid cuts." Would you eat a Baby Beard Cereal? Tell us here or on Twitter (@babybeardmedia). Drop us a like or leave a review ... Más informaciones on iTunes. 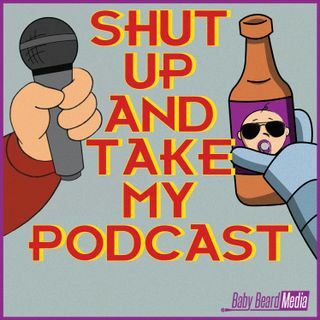 All our stuff is on Spreaker, Stitcher, and Youtube - and our faces are on Instagram.